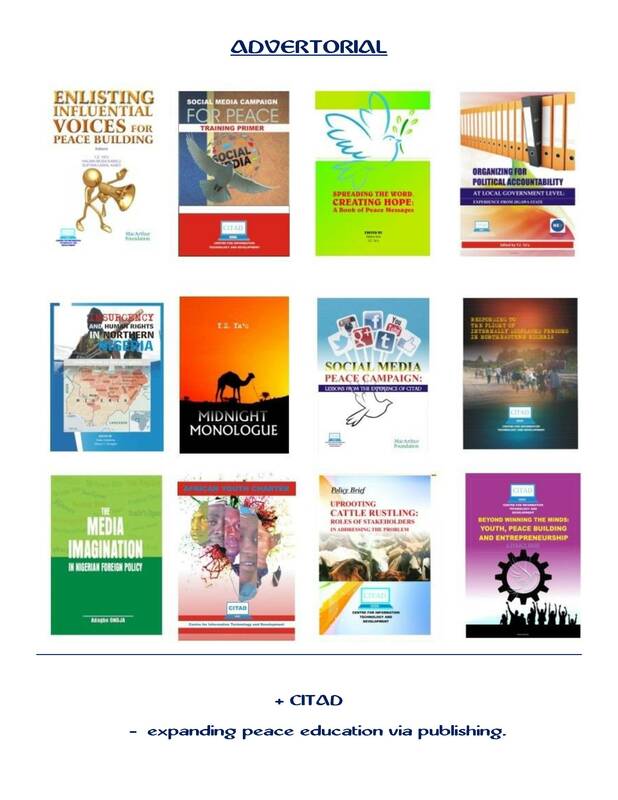 A conference on Peace and Development in Nigeria by a centre backed by a university is bound to occupy a striking presence on the radar of those who, perforce, have to maintain such radar, either as peace journalists, peace activists or as formal students of Peace Studies. This is the fortune of Veritas University, Abuja, (also known as The Catholic University of Nigeria) and the conference on Peace and National Development it is holding on November 20th – 21st, 2017 as part of activities marking its 10th anniversary. Peace and development remain two of the five most contested concepts in the post Cold War era, the other three being security, power and the state. So much contestation around peace that Peace Studies, for instance, which jumped out of International Relations (protesting Realist framing of peace as absence of war and Strategic Studies as a performance of war) has come round to inhabiting the same academic homestead with the same IRs and Strategic Studies. Now, they are all studied under Critical Security Studies. This time though, all three have, to a great extent, pushed out Realism and its rationalist epistemology and, substantially, replaced it with the Emancipation analytics. Contestation around development has been no less fierce, including the argument that even talks of post-development or of ‘death to development’. Professor Aturo Escobar, the American educated Colombian anthropologist and the leading exponent of post-development theory says this is because development has been a story, an alienating narrative by which the story tellers nurture underdevelopment instead of development. There is no likelihood this conference would escape manifesting a Nigerian version of this contestation. This is more so if it is linked to the question of where the African voice is in all the debates and contestations. It is no national chauvinism to say that asking about the African voice is also asking about the Nigerian voice. It is not only that Africa is still the centrepiece of Nigeria’s foreign policy, it is also that there are no alternative countries to Nigeria in terms of Nigeria’s territorial, demographic, resource endowment stature vis-a-vis the responsibility of leading Africa. It is thus a tragedy that Nigeria has been going down over the years in terms of a coherent, stable and focused polity. But what it means is that there would be nothing surprising if a Nigerian entry point and an African voice is heard at the Veritas conference. 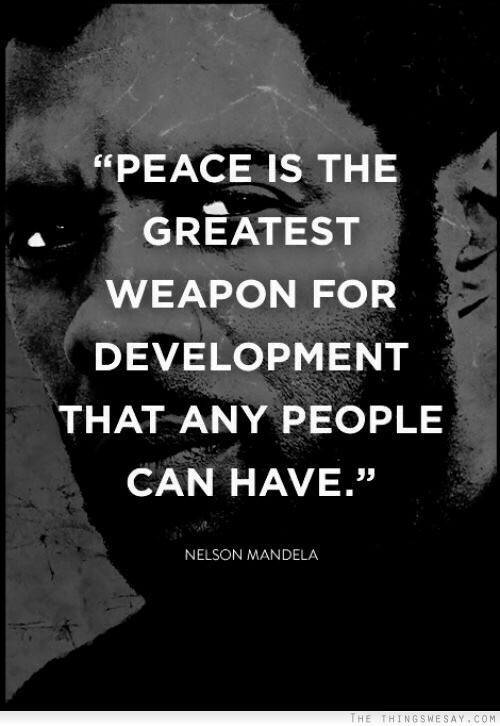 But why an African voice on peace and development? To what extent would such a voice be African in a terribly fluid and an ambiguous world? If concepts such as peace and development are nothing but what we make of any or each of them, then the implication is that a conference on Peace and Development by a university in a country desperately in search of both peace and development as Nigeria must be some turning point in itself. We can say so because such a conference opens up the space for imagining or producing peace and development in accordance with Nigeria’s specificity. The Nigerian specificity becomes important in the context of the critical credo that every theory is for someone and for some purpose. If theories are not innocent interventions, then the Nigerian specificity is the only way to achieve originality in thinking and doing peace or development or constructing the nexus between them. In other words, peace is not about some universal master codes, master keys or master techniques with which to resolve conflicts. Peace is more about the voice that constitutes the power that frees all those structurally constrained from freedom and self or collective realisation. This is another potentially big angle to the Veritas conference. Closely related to that is the point that Peace Studies has been growing in Nigeria lately, beginning with the pioneering efforts at the University of Ibadan which now has a full-fledged Institute for Peace Studies. 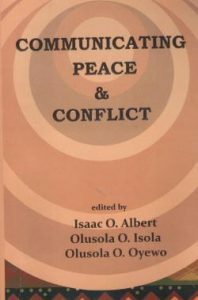 However, the totality of Peace Studies in Nigeria still lacks an overarching paradigmatic wager in the same manner that History, for instance, defined itself distinctively in the 1960s and thereafter in Nigeria, beginning with the Ibadan School of History and its methodological feat and then the ABU, Zaria School of History. If the African voice is the Nigerian voice and vice-versa, then this methodological self-definition is an imperative. The way peace is studied is constitutive of peace itself. This conference being substantially an academic exercise offers Nigeria her closest and earliest opportunity for an insight into how academia is constructing and constituting peace or the Peace – Development nexus. There is, unarguably, a rather Veritas University specific but no less a plausible explanation for the excitement in the air. Veritas University articulates a notion of a Centre for Peace and Development that is a cross between the old and the new as well as the ecclesiastical and the academic. 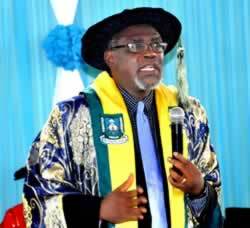 In addition to the goodwill and collective standing of the Catholic establishment in Nigeria which owns the university, there is a uniqueness in this that cannot escape attention as well as attraction of many. The argument here is that there must be something inherently promising about a conference organised by such a centre backed by such a university. By the old, one is referring to the sense of the centre espoused, for instance, by Prof Mike Kwanashie, the Vice-Chancellor and the intellectuals around him. Prof Kwanashie is not a formal student of Peace Studies but an economist. But he speaks to holism in Peace Studies that formal students of the field would envy. This is not sycophancy but a recognition of the height their generation of scholars took academia to before the coming of crisis into academia in Nigeria. That is the element of the old in Veritas University’s Centre for Peace and Development while the new are the contemporary environment, attitudes, agenda and analytics enveloping the study and the production of peace. The ecclesiastical and the academic are self-explanatory in terms of ownership of Veritas and academic nature of the venture. Being a combination of the old, the new, the ecclesiastical and the academic necessarily turns the centre into a torchbearer in the prospects of returning Nigeria to the culture of debate, the death of which is at the root of the current, steady deterioration of the country. Some egg heads have been shouting themselves hoarse that the quantity and quality of debate in Nigeria is not adequate to sustain the country. All such voices are absolutely correct. Every country is as good or as hopeless as the quality and direction of debates taking place in its universities, policy mills, think tanks, bureaucracy, the military, political parties and the media, among others. There is no great power today that is not a product of such debates. Neither Britain, the United States nor China, the newest great power, has attained that status without debates provoked by their Halford Mackinders. 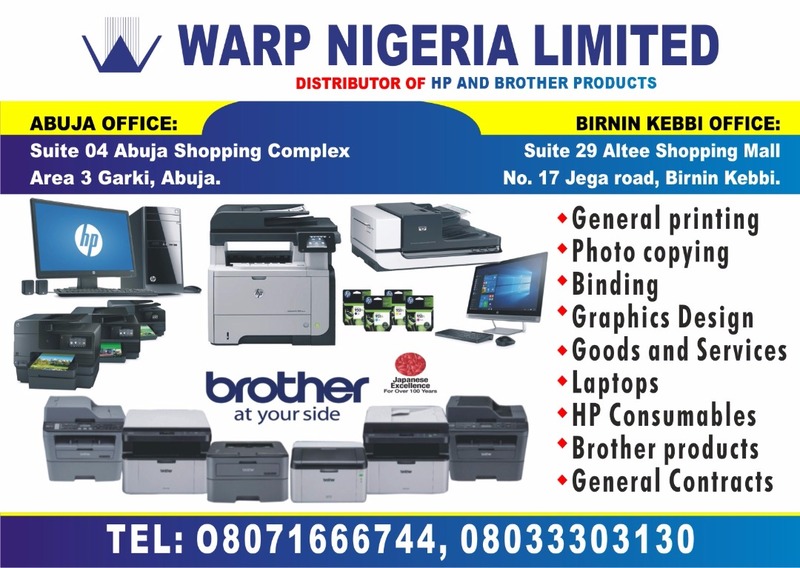 Nigeria does not seek to be an empire in either its territorial or discursive senses. Still, it needs quality debates on the key requirements for managing complexity in the 21st century. This makes contestations over ideas on peace and development a matter of priority. No university is inherently indebted to the country in terms of producing such ideas. The long connection between Catholicism and the education industry would, however, appear to tie Veritas University to the task of rising to the challenge of discourse and power in the search for peace and development in Nigeria, Africa and the world. This conference has the potentials to fulfil that. It cannot but be so for a Centre for Peace and Development imagined into being within just ten years of the university’s existence and which at barely one year of age is able to stage a conference at which all voices are scheduled to be heard – Christianity, Islam, Judaism, Hinduism, traditional religion and more. That would be a remarkable statement on governing diversity that Nigeria itself cannot but note.